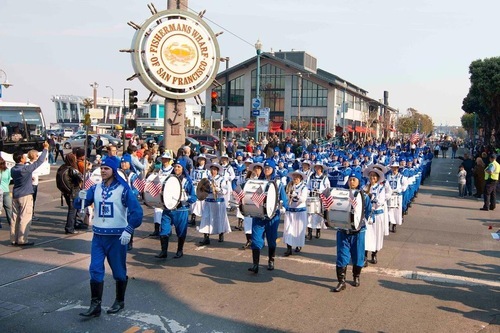 The Tian Guo Marching Band participated in the Veterans’ Day Parade in San Francisco on November 11, 2018. The spectators applauded the performance and cheered the practitioners on. 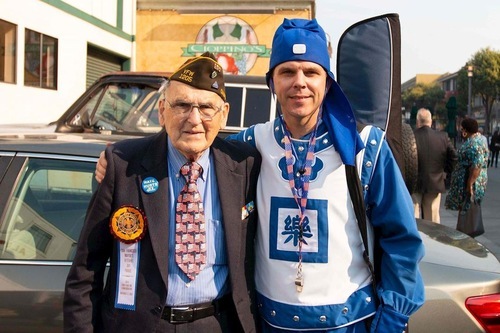 Wallace Levin (left) and Abraham of Tian Guo Marching Band. 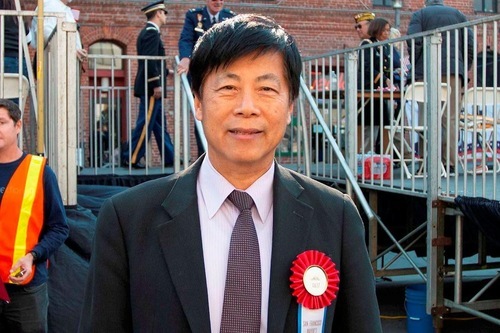 Director Ma Chung-lin of the Taipei Economic and Cultural Office. 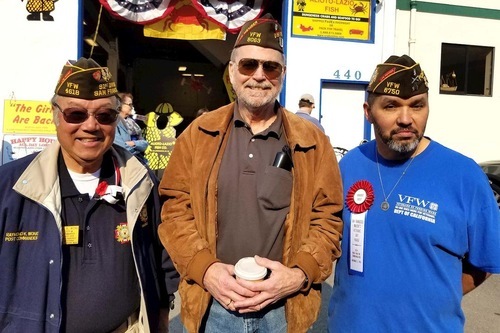 Post Commander Raymond Wong (left) of the fifteenth branch of the US National Veterans Association and Veterans Commander-in-chief Terry Murphy (middle).